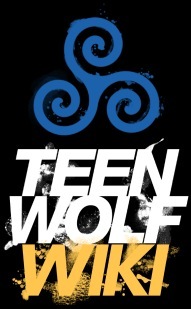 On Teen Wolf, the girtablilu, or scorpion-man, is a shapeshifter of Sumerian mythology. The girtablilu has traits of a scorpion, being able to shapeshift into a creature with scorpion attributes, including being to produce a deadly venom. In Season 5, a girtablilu is the genetic makeup of a Chimera Lucas. Like many shapeshifters, a scorpion-man has strength and agility superior to that of a human being. Also, their eye color changes completely black with their pupils and irises not visible. Like the kanima, the scorpion-man produces venom. Rows of venomous stingers will morph and protrude from their skin, along their limbs and down their spines. The stingers secrete a venom that inflicts an overwhelming, ever-lasting pain. This pain is non-lethal, and cannot be circumvented by narcotics. But the pain can be absorbed by a supernatural pain siphon.